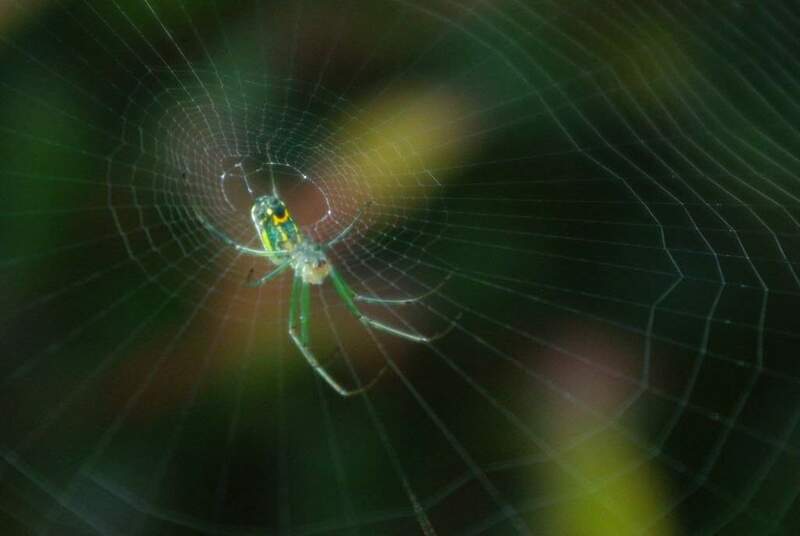 There are some really cool spiders in my garden. 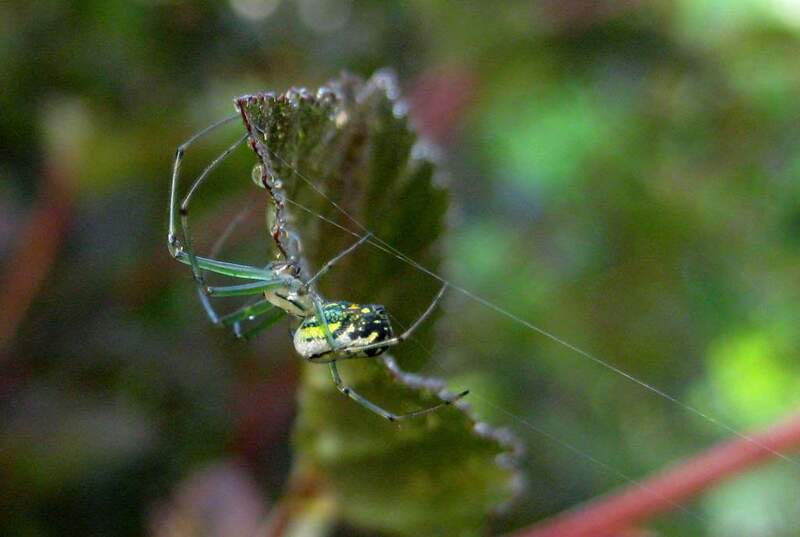 Actually, there are probably really cool spiders in all gardens, but they're not always easy to find. I discovered a few really interesting ones yesterday when I wasn't even looking for them. As I said, they don't terrify me but I wouldn't want them crawling all over me. In the garden I'm quite pleased to see them, and they fascinate me. This one is exceptionally colorful, and really quite beautiful. It's not as large as it looks -- maybe the size of a quarter (including legs). I don't know that I've ever seen one like this before. 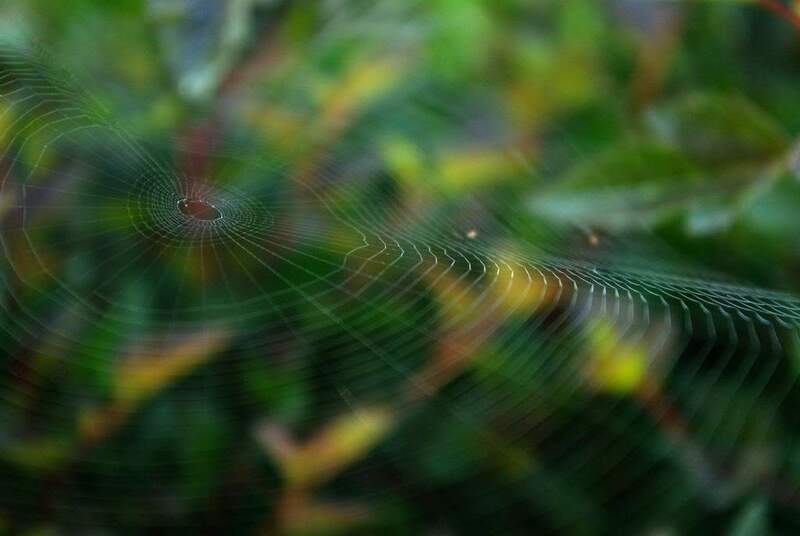 Really interesting, and such a cool web! This one was in my ninebark shrub which I was pruning. I moved this guy into my butterfly bush a few feet away so he wouldn't end up in the compost pile with all of the pruned branches. 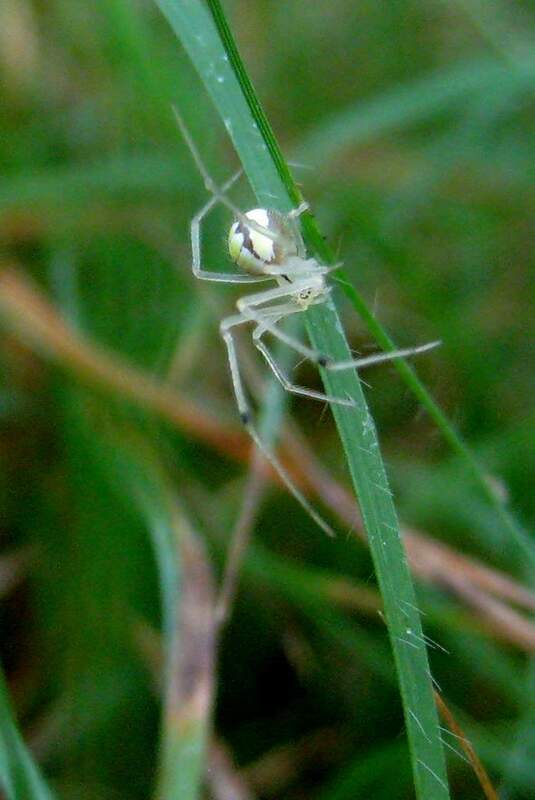 I could have easily missed it, but I saw it climbing up some long grass blades and dropping down again. I think it was building a web. It was within 6 feet of the previous spider just a couple inches off the ground, and makes me wonder how many cool-looking spiders I walk past every day. Luckily I had my little camera in my pocket so could snap some shots. Not as beautiful as the first spider, but quite interesting, and again I have to say that I don't remember seeing one like it before. It's a nest in one of my groundcover bamboos. I don't know what the parent looks like, and didn't want to go poking around to see if it was still in there. 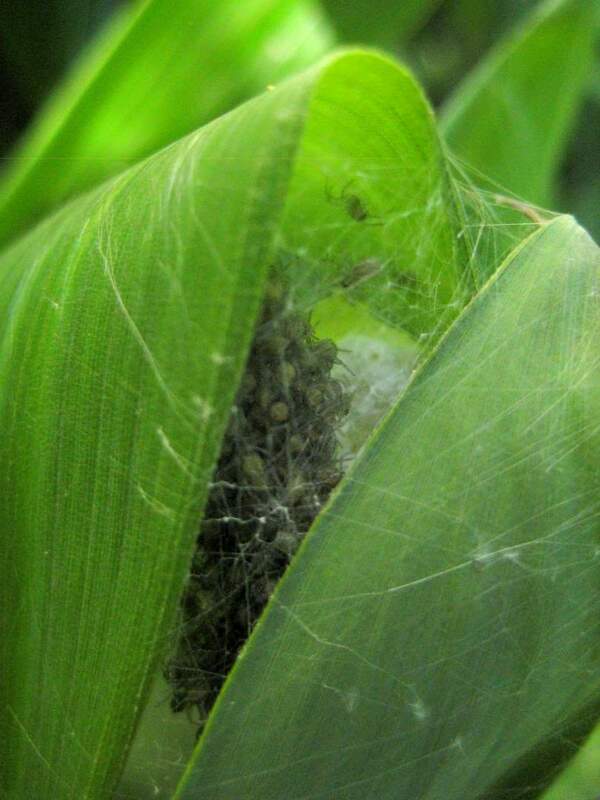 Whatever the adult spider looks like, there's about to be a whole lot more of them in my garden!